THE BIRTH OF A NATION IN AMERICA…. 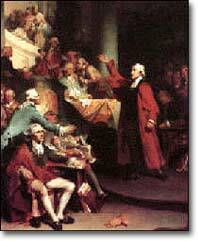 Some have said that the American Revolution was 169 years in the making and began long before 1776. I tend to agree. It was birthed in the hearts of the colonist long before 1700. The independent spirit of those immigrating to the colonies, the distance from parliament and the king in England virtually guaranteed that direct rule was impractical if not impossible. The idea of self-government arrived with the Pilgrims as is evidenced in the Mayflower Compact and the Quaker beliefs made equality in the community a norm. The Great Awakening introduced new faiths on American shores where equality between laity and clergy was often practiced. The newspapers of the colonies practiced freedom and the trend was to ignore English law and with the flood of people coming to the colonies with no loyalty to the crown rebellion and revolution were almost guaranteed. Enlightenment called the ‘Age of Reason’ produced scientist like Isaac Newton and writers such as John Locke who fearlessly challenged the old order. Locke championed the right of the people to change a government that did not protect the ‘natural rights’ of life, liberty and property. Jean-Jacques Rousseau declared that society should be ruled by the ‘general will’ and Baron de Montesquieu argued that power should never be concentrated in the hands of any lone individual. He advocated separation of powers between executive, legislative and judicial branches as a safeguard for freedom and liberty. In the 1730’s a revival swept through the colonies and men like Jonathan Edwards began to fear that the people were becoming too concerned with worldly matters and preached his infamous sermon, “Sinners in the hands of an Angry God.” Other ministers became actively involved in politics and helped shape the push toward independence. Then came the trial of John Peter Zenger, a New York printer of German descent who published the ‘New York Weekly Journal’ and accused the royal governor, William S. Cosby of rigging elections and allowing the French to explore the New York Harbor. Zenger was arrested and accused of libel which in that day meant you opposed the government and ‘truth’ meant nothing. Andrew Hamilton of Philadelphia chose to defend Zenger and argued that this was not a case about a printer but the cause of liberty. The judge ordered the jury to convict Zenger if they believed he printed the stories but in less than ten minutes they declared him NOT GUILTY. This was in a time when there was no First Amendment. There is little doubt Mercantilism affected how the British dealt with the colonies and how they viewed them which helped to propel the colonist into a mindset of rebellion and desire for independence which would allow them self-rule. In 1676 we had Bacon’s Rebellion when Nathaniel Bacon led a group of citizens in a search for justice against Governor Berkeley. Similar events transpired in South Carolina and from 1765 to 1767 outlaws roamed the landscape terrorizing the farmers and a band of vigilantes known as regulators took the law into their own hands and removed the outlaws. There were land riots and the Paxton Boys marched on Philadelphia in 1764 to protest the Quaker’s friendly Native American policies. The colonists were becoming experienced in rebellion and demonstrated a willingness to take up arms against what they deemed to be unfair governmental actions. 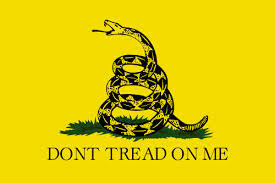 The famous cry: “Don’t Tread On Me” was birthed in this era. Some have suggested that the French-Indian War actually became the cornerstone for the coming American Revolution as the colonist saw the barriers between regions lessened and the first signs of Nationalism birthed. They learned that Americans could come together and defeat a common foe and in a few short years they would do so again giving birth to the United States of America a constitutional republic. Many things contributed to the actual rebellion including the Stamp Act, the Townshend Acts, Boston Massacre, the Tea Acts, and the Intolerable Acts led to the First Continental Congress where the colonist still wanted peace but the right of representation. All this failed and ultimately we came the Revolutionary War, the securing of Independence and the birth of the United States of America. Time would never allow a complete historical review but suffice it to say that at the heart of American Independence is the unequivocal commitment to man’s natural rights as given by God to Life, Liberty, Property and the Pursuit of Happiness. That brought about our birth as a nation and is the only thing that can preserve her. If we fail to become involved and engaged we guarantee our failure. The choice is yours – Liberty or Tyranny! 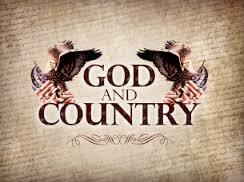 This entry was posted in Musings, Patriotic, Political and tagged America the founding. ← DON’T YOU FEEL BETTER NOW?? ?